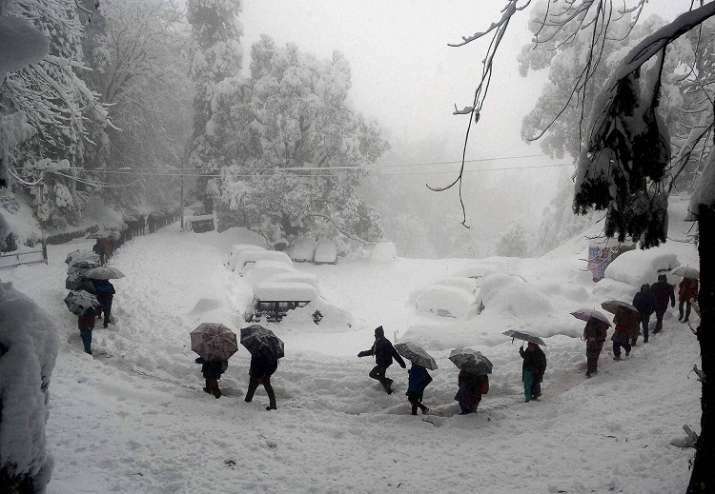 Normal life was thrown out of gear as the Kashmir Valley was hit by fresh snowfall on Thursday, while the plains of Jammu witnessed rains. People were forced to stay indoors without electricity as road links were snapped at many places. Meanwhile, flight operations at the Srinagar airport were disrupted due to heavy snowfall and poor visibility. According to news agency ANI, all flights of GoAir and IndiGo were cancelled, along with 2 SpiceJet flights, 1 AirAsia flight and an Army charter flight.